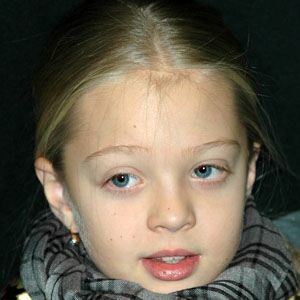 Ukrainian child singer who won the Junior Eurovision Song Contest of 2012 in Amsterdam. She competed on the second season of Ukraine's Got Talent with her older sister. She won first prize at the International Popular Music competition "New Wave Junior 2010" in Artek, Ukraine. She sometimes performs alongside her older sister Viktoria "Vika" Petryk. She and Connie Talbot are both famous child singers.